Beyond golf - and imagination - an unparalleled resort invites further exploration. Here, on the shores of a crystal blue lake, in the ruggedly beautiful mountains that rise above it, and alongside the natural splendor of the desert floor, are a haven of three of the most unique and challenging courses to be found anywhere. Where else would you expect to find an entire arsenal of unique, challenging courses like Reflection Bay, The Falls, and Rainbow Canyon? With dozens of awards between them, the trio (soon to be quartet) of courses at Lake Las Vegas Resort claim a cumulative heritage not found elsewhere. Designed by golf world giants Jack Nicklaus, Tom Weiskopf, and Tom Fazio, Lake Las Vegas is a golf destination unlike any other. Recently named a Golf Magazine "Gold Medal Resort" and located just 17 miles from the fabulous Las Vegas Strip, Lake Las Vegas Resort is America's premier resort & residential destination. The Loews Lake Las Vegas Resort, The Ritz-Carlton Lake Las Vegas, and MonteLago Village Resort all offer special "Stay & Play" Packages. Discover incredible golf at Lake Las Vegas Resort. Lake Las Vegas’ Reflection Bay makes for some water hazard – and for some truly spectacular scenery. Reflection Bay is the first public resort golf course in Nevada personally designed by Jack Nicklaus, and the host course to the nationally-televised Wendy’s Three-Tour Challenge benefiting the Dave Thomas Foundation for Adoption. The 7,261-yard, par-72 award-winning course makes its way through the desert while providing breathtaking views of Lake Las Vegas. Sculpted from the terrain's natural contours with strategic bunkering and pristine greens, the course features three waterfalls and plays around arroyos and water. 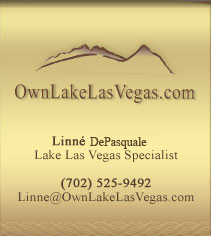 Five holes are located along one and a half miles of Lake Las Vegas' majestic shoreline. Reflection Bay highlights include the picturesque 199-yard, par-3 eighth hole and beaches, bunkers and palms that create a dynamic shoreline and backdrop. In Reflection Bay’s Mediterranean-style Clubhouse, MiraLago serves a full menu in a stylish, finely-appointed dining room or on the comfortable balcony overlooking the Lake. The Player’s Lounge features light fare and refreshment. At the fully-stocked Golf Shop, you’ll find top- and private-label golf apparel and accessories. Defined by contrast and designed by Tom Weiskopf, The Falls leads patrons through elevation changes ranging from subtle on the desert floor’s front nine to extreme on the mountainous back nine. Awaiting golfers at elevated holes are breathtaking panoramic views of Lake Las Vegas, the surrounding mountains, and the unmistakable Las Vegas Strip. Throughout this 7,250 yard, par-72 course, water features create challenging hazards and natural beauty. From high to low, from pristine greens to rugged mountains, and from desert terrain to sparkling waterscape, a round at The Falls becomes a study in contrasts. Within the rustic stone walls of The Falls’ Clubhouse, The Vineyard presents a robust menu, with full and savory flavors, served under a dramatic backdrop of picture-window vistas. A cozy fireside lounge offers refreshment in a relaxed winery atmosphere. Here too, the Golf Shop presents it’s finest in equipment and apparel in private and brand-name labels. A new 18-hole golf course designed by renowned architect, Tom Fazio, Rainbow Canyon will nestle in the rugged mountains on the northern shore of Lake Las Vegas. Located adjacent to Reflection Bay, Rainbow Canyon will stretch from the lake’s shoreline to its namesake, the inspiring Rainbow Gardens Geological Preserve. As a par-72 layout, the course will measure over 7,500 yards to feature extraordinary canyon settings, holes along shoreline, and elevation changes presenting dramatic views of nearby Lake Mead, Rainbow Gardens and Lake Las Vegas Resort. Rainbow Canyon is currently under development. SouthShore Golf Club is a private golf club available only to property owners of Lake Las Vegas Resort. The first private, Jack Nicklaus Signature Golf Course in Nevada, SouthShore Golf Club provides members with a one-of-a-kind golf experience. Rising from the shoreline of Lake Las Vegas to the desert mountains, the 6,917-yard course draws upon the area’s unique topography with a design that carves out dramatic elevation changes, generous fairways, and strategic bunkering over canyons and water. Perched on a hill overlooking the golf course’s rolling greens and Lake Las Vegas, the 28,000 square foot SouthShore Golf Clubhouse provides an extensive calendar of social events and activities, and features a member’s library, intimate dining areas, a main bar, banquet and meeting facilities, full service men’s and women’s locker rooms, pro shop, a cart and bag storage area, and snack bar. The Golf Institute at Lake Las Vegas Resort is proud to offer a variety of instruction programs under the guidance of certified PGA Professional, Gary Knapp. Located at Reflection Bay Golf Course, the Institute has designed a number of ½- to 3-day small-group programs, in addition to private lesson and video analysis selections. Participants can also choose personalized club fittings at our Certified PING® Club Fitting Center. A sampling of available packages is provided below. However, for full details, contact a staff member of The Golf Institute at Lake Las Vegas at (702) 740-4653.